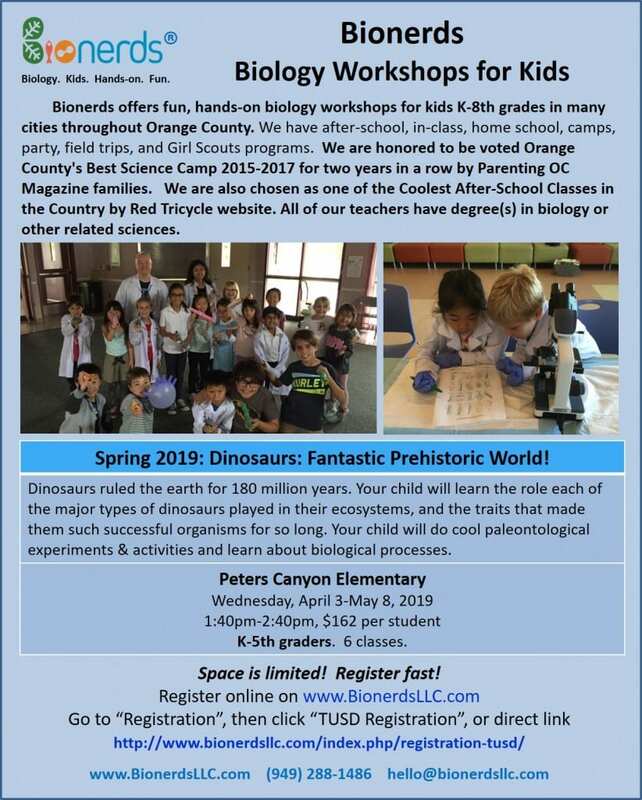 Registration for Peters Canyon Elementary Spring 2019 is CLOSED. We have a full house! 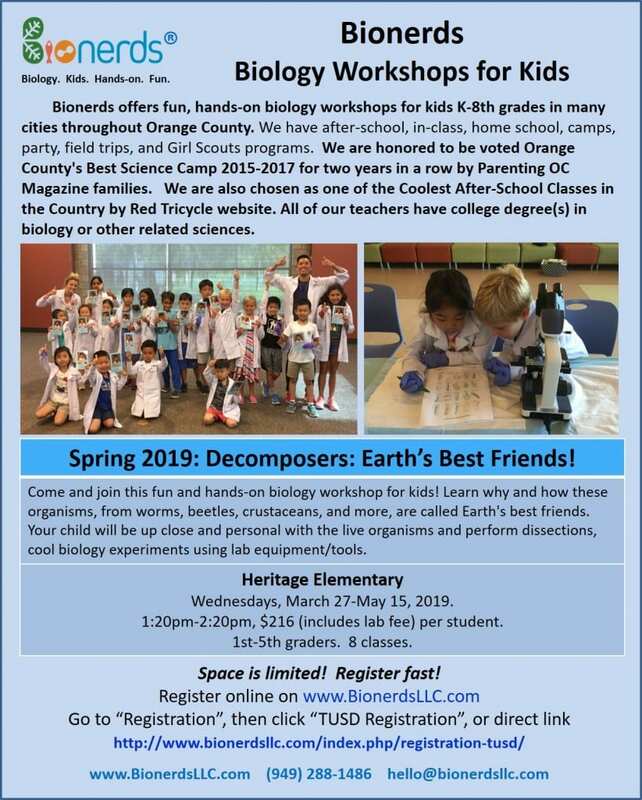 If you would like to be placed on our waiting list, please send us an email to admin@bionerdsllc.com with your child’s name and school. Thank you. Registration for Heritage Elementary Spring 2019 is CLOSED. No late registration accepted. Use the form below only for Tustin Unified School District Classes. For other facilities, please click here to go to the specific registration form. Please review our Class Schedules prior to registration.